Almost every second girl born in the 90s will tell you, "Uff! He was/is my first crush." Most of us have seen numerous movies starring this charismatic actor. Most of them on repeat (and now, even on Netflix). There is no limit to the fan mania and buzz surrounding him. The actor, who has graced several magazine covers (including Time) and has got a room full of awards, turns 52 today. And even after all that 'crazy' love from more than a million fans and endless compliments for his performances, one thing remains the same - His smile, those dimples, the signature air hug pose and his down to earth nature. 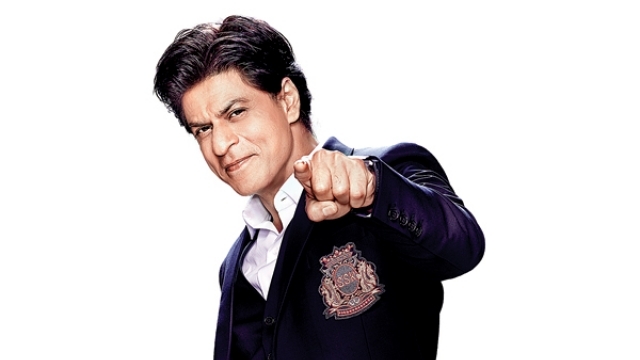 Yes, we are talking about none other than, the birthday boy - Shah Rukh Khan. Naam toh suna hi hoga! While zeroing down to 'just' ten films was a mammoth task, we managed to list down some of our favourites, that we can never get enough of. Any conversation related to King Khan is incomplete without this gem of a film. The fact that most film lovers still can't get enough of DDLJ is the reason why it holds the record of being the longest running film in the history of Indian cinema. There is no one who hasn't enjoyed swaying to the tunes of Zara jhoom loon main and loved Rahul's antics throughout the film. Raise your hands if you couldn't stop going 'Aww' when Rahul says 'Palat' or observes a Karva Chauth fast for Simran. C'mon, just how brilliant was SRK in this one? 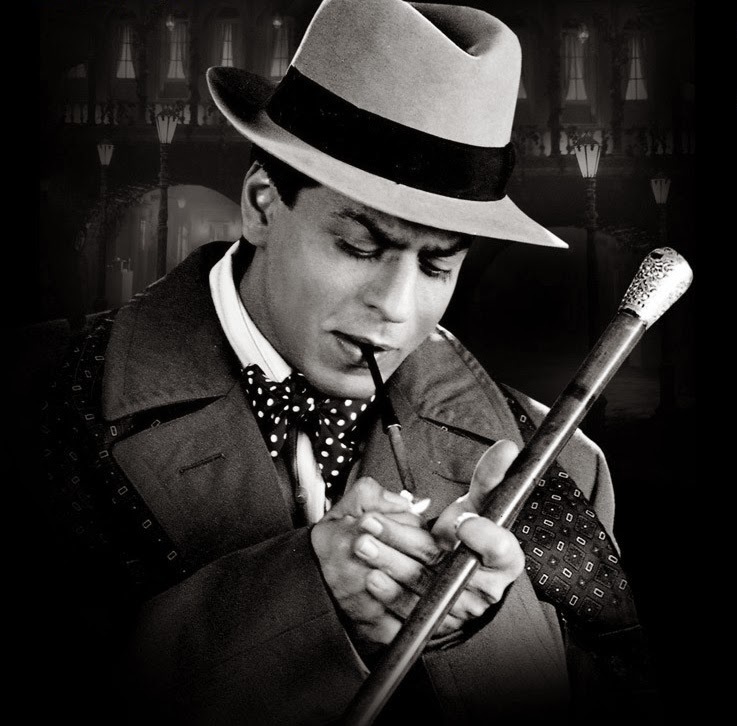 One of my favourite performances by Khan, Devdas was all things beautiful. Sanjay Leela Bhansali's period drama was one such film, where we saw Khan stepping out of his comfort zone and portraying a character that has earlier been impeccably essayed by Dilip Kumar saab. But, despite the remake tag, Khan gracefully stepped into the shoes of Devdas and presented an award winning performance. The climax and Devdas' downfall is enough to give you goosebumps and a few tears. Tissues, anyone? If Devdas made you shed a few tears, be prepared to cry bucket loads in Nikhil Advani's Kal Ho Na Ho. How can anyone not fall for the chirpy and fun loving Aman Mathur. 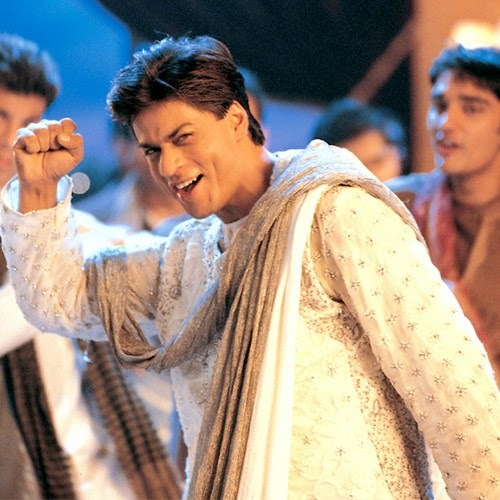 Khan earned accolades for his portrayal of this young man, who is a terminally ill patient. Remember the popular dialogue - "Naina, kaash mein tumhe bataa sakta, mein tumhe kitna chahta hun. I love you, I love you very, very much Naina." Who else spotted several people crying in the theatre, while shedding a tear or two? Also, who can forget the immortal 'Kantaben' and her chronicles. A lovely rom-com with tons of emotional moments, and an unforgettable performance by Khan. That climax was literally 'to die' for. I have lost count of the times I have seen this film and it is almost impossible to believe the fact that KKHH completed nineteen years in 2017. Rahul and Anjali (played by Khan and Kajol respectively) are one of my most favourite Bollywood on-screen couples, and needless to say, they were absolutely adorable. Not to forget, Rahul's attire in the film became quite a rage way back in 1998. Those GAP sweatshirts, silver chains with a pendant bearing the initials 'cool' and figure hugging Polo Sport tees were everywhere. There are endless memorable moments and dialogues in the film, but how can we miss - "Hum ek baar jeete hain, ek baar marte hain. Shaadi bhi ek hi baar hoti hai, aur pyaar, pyaar bhi ek hi baar hota hai." While most cine-goers termed this film as 'passable', I think this is one of Khan's most under-rated performances till date. This Ashutosh Gowariker film was quiet ahead of it's time and showcased the reality of rural India in an amazing way. 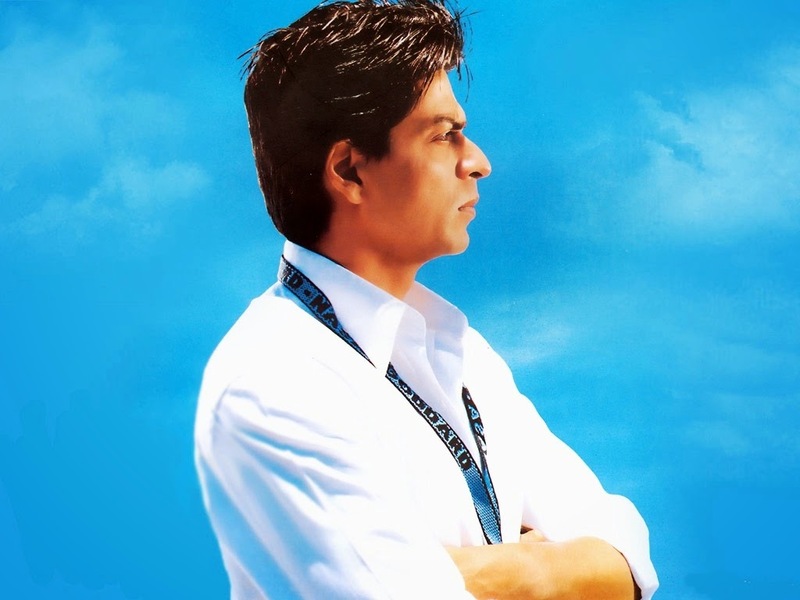 SRK's portrayal of Mohan Bhargav was brilliant and once again, showed a different side of his acting ability. The change from a mineral water loving NRI to someone, who is willing to go all out for his village folks, was a treat to watch. The most poignant moment? Undoubtedly, the water scene at a station. It is hands down one of the best scenes in recent times. *violins playing in the background* "Maine aaj tak sirf ek hi ladki se mohabbat ki hai. Aur zindagi bhar, sirf us hi se karta rahoonga." The autumn leaves and turtle neck knit sweaters will instantly remind you of the loveable - Raj Aryan. Be it those eyes that long for Megha or the effervescent personality and charming style with which he played the violin, Khan made Raj Aryan look every bit the lover boy that he was. The film may not have earned him awards (except a few critics choice trophies), but his depiction of Raj surely made its way into our heart. Music, camera and spotlight! Voila, the teaser promo of Dil Toh Pagal Hain created a frenzy among every Yash Chopra and SRK fan (I must have been just four or five-years-old around that time, but can never forget the hysteria that was DTPH). I remember watching the film thrice in a theater, only because of my love for dance and to witness Nisha (Karisma Kapoor) - Rahul's adorable chemistry. But hey, we must give it to Rahul, who in his quest for 'Maya', realises what true love can actually do. 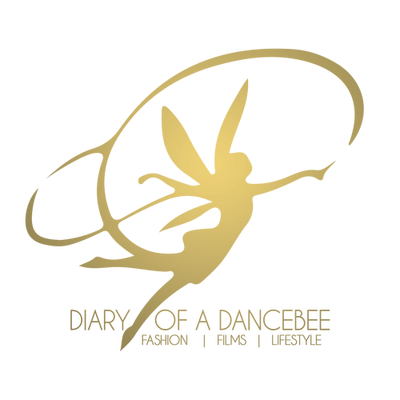 Incredible songs, fabulous choreography and a top notch performance by SRK (and others too), what's not to love here? 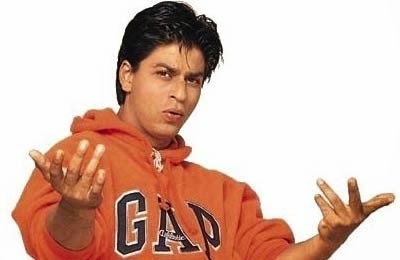 How can we ignore Rahul Raichand and his funny ways of winning Anjali's heart? Despite the star studded cast and growing popularity of Hrithik Roshan around the same time, Khan stole the show with Kajol in this one. Ever noticed how Rahul can't stop nagging throughout the film - "No drinking, no smoking! No der se aana aur yahan se jitna jaldi ho chale jaana," - or the hilarious arguments that he just doesn't seem to win against 'Poo'? Rahul was the perfect husband, son, brother-in-law and brother, any family could ever ask for. This family material guy was exceptionally essayed by Khan, who added his own charm to the character with his excellent, natural dialogue delivery. Squadron Leader Veer Pratap Singh. Sigh! This man. Another one of my personal favorite performances (and film) happens to be this. Khan's natural emotions, expressions, body language and attitude makes this character extremely special. One just can't take their eyes off the actor when he walks around in this uniform. He looked stylish in those new golden hair streaks, brown leather jackets, ray-ban aviators and well fitted pathani suits. And what do I say about the ease with which he delivered this splendid performance? Look into those eyes and any girl would melt when Veer says - "Sarhad paar ek aisa shaks hai, joh aapke liye apni jaan bhi de dega." Play this film and watch a hundred girls go 'Haaye' already. Reserved the best for the last. 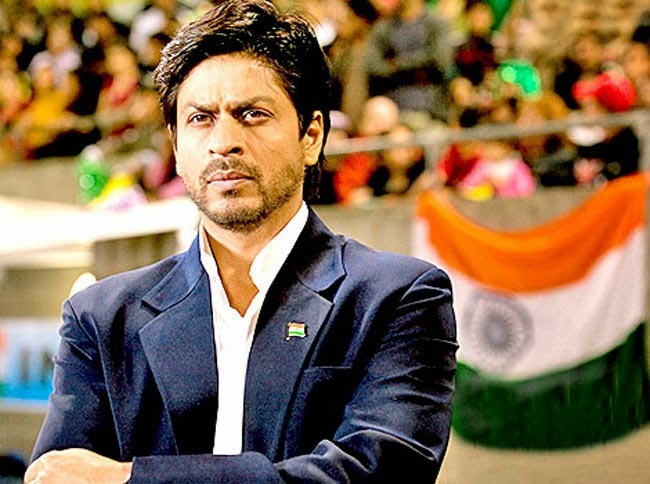 One of my favourite films, Chak De! India not only made thousands of Indians rekindle their love for Hockey, but also presented Khan's career best performance. Just look at that fine act. Only a seasoned actor, who has always worked hard to ace every scene, can put life and soul into a character like Kabir Khan. Every time I watch this film, I just can't stop raving about Khan's performance and the way he has displayed varied emotions in a span of 153 minutes. Forget the 70 minute speech, it was like Khan took an oath himself to make sure that "Ki yeh 153 usse koi nahi cheen sakta." Though the girls may have got their share of accolades, it was Khan's powerful performance that won many hearts. Watch the scene where Khan can't believe his eyes and tries to sink in the feeling that India has indeed won the World Cup, and you will know what we are talking about. My only regret - Khan didn't get the National Award for this well deserved, flawless performance. Special Mention: Kabhi Haan Kabhi Naa - One of SRK's early films. Despite experimenting with different genres, Khan left a mark in this heart warming, beautiful tale, with an adorable performance. Khan and his 'Must watch' list of films is quite an endless one. Om Shanti Om was cute, and so was Main Hoon Na. The actor is surely best with the highest number of memorable films and on this day, we pray that he keeps entertaining us with unforgettable performances in the years to come.